Miss Universe 2011 Leila Lopes is the New Face (and Hair) of Natures Gentle Touch's "Hairsavvy"
Miss Universe 2011, Leila Lopes has been announced as the new face (and hair) of Hairsavvy, the International South African hair care brand acquired by Recare (owners of Natures Gentle Touch) in 2004. 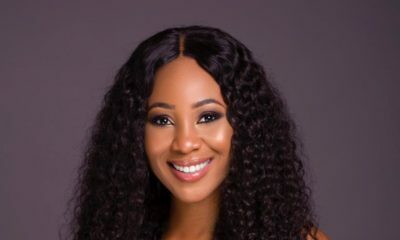 Leila is an international model and wife of Nigerian Osi Umenyiora, the retired NFL star. “Our appointment of Leila Lopes is part of a continuing broad effort by Recare to grow our footprint in Africa. 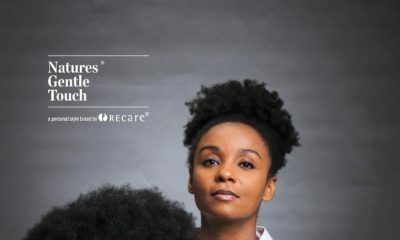 Her ambassadorship reflects our company’s commitment to bringing our world class hair and scalp care solutions closer to women in Africa” said Chika Ikenga, the founder and Managing Director of Recare Cosmetics International. “She is truly the definition of today’s Natures Gentle Touch woman’- her magnetic personality is confident, soulful and gutsy” he added. Natures Gentle Touch has a long history of working with African style icons. Leila Lopes joins a growing list of influential women who have represented the brand including Agbani Darego former Miss World and Oluchi Onweagba, winner of the first M-Net Face of Africa. Now! That’s how you Photoshop an already beautiful being. Congrats to her. I will get there too. 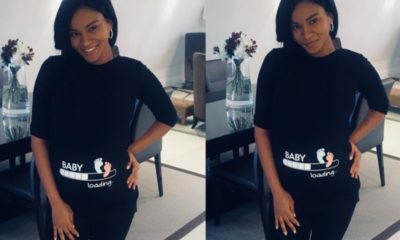 Baby Loading… Miss Universe 2011 Leila Lopes and Husband Osi Umenyiora are Pregnant ? ?